Agriculture export Natural Supply Kings NSK PTY LTD is a leading agricultural exporting company providing solutions to all sourcing business organizations; small, medium and large. Our commitment is to supply the most competitive and suitable products for your business and to establish a solid and reliable relationship with reputable buyers worldwide. At NSK, we are focused on providing trading services of various agro commodities, chemicals etc with the highest levels of customer satisfaction. We do everything we can to meet our client’s expectations. In business since 2007, NSK has established itself as a reputable source for agro commodities with an emphasis on customer satisfaction. Our strong marketing network with deep rooted extensive distribution system throughout the country. It spearhead us from others and supports our Vision for Sustainable Agriculture development of the country. Our strong marketing team of over 50 technical & dedicated sales personnel, 200 dealers & 1000 retail outlets in over 500 cities help and educate the farmers throughout South Africa. We have already shown our Global presence in more than 10 countries. Our Registration Department also supports our Overseas partners to Register and Establish our products in their country and vice-versa. As our slogan say…We put the world of trading in the palm of your hands. We are established suppliers and exporters of a wide range of products. We offer a wide variety of agricultural products such as beans, fruits, grains, nuts and kernels, oils and extracts, plants and seeds, vegetables, organic foods and beverages, chemicals, beauty and personal care, etc. We are ready to supply you with suitable products at cheapest rates. We have established long-term, stable and good business relationships with many manufacturers and wholesalers around the world. Currently, we are looking forward to even greater cooperation with overseas customers based on mutual benefits. Please feel free to contact us for more details. We are a one stop Agro Industry. All your Agro commodities and more can be obtained from us. Please Note that this list is updated every fortnight and as a result, some products, though available will only appear on the list after 15 days. If you do not see what you are looking for, do not panic. Contact us and we shall source it for you. 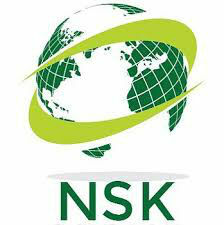 Visit the website of Agriculture export Natural Supply Kings NSK for more information. Click here.